the engine is split to be rebuilt and the whole car is going to be returned to origional spec shortly!! anybody that has a mint pair of cream front seats please let me know as they are all i need to finish!!! We do have a record of your car already, including when it was last sold. Just maybe a bit of confusion over the plaque number. found the sticker!! looks like it was labeled no. 09!!! brian san wrote: found the sticker!! looks like it was labeled no. 09!!! That's pretty lucky and number 9 is unclaimed in the first post. Sounds like a result. ya but which is it? its obviously the 24th off the assembly line?? is that mark forbes still active on the site?? whats his username?? 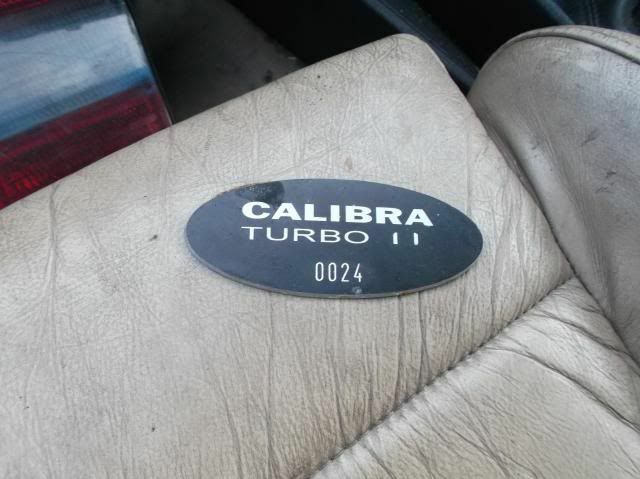 The plaque on the ash tray has the number stickers missing were the number sits but has the outline of number 50 there..
Is completely un modified and has 74k on the clocks! Ive seen a number 50 on the list and its not the same car so im guessing that one had the no50 sticker on it..
brian san wrote: ya but which is it? its obviously the 24th off the assembly line?? is that mark forbes still active on the site?? whats his username?? If that stick on label is genuine then you have LE number 9. The 0024 is irrelevant. If the sticker is missing you will never know. It is virtually impossible for the number to bleed through that kind of sticker especially as by implication the etched in number has somehow been worn away to an outline of 50. Sometimes you get an outline of the old sticker. Has anyone else seen an LE sticker with the numbers added as separate digits? AFAIK the genuine stickers are a single piece, as per the photos above. take a couple of pics mate and post them here for us to see, we shall figure it out!! ill be putting fresh interior in mine so will check then haha!! That rumor rich is said to be true tho its not proven .. Somewere under the carpet the number should be etched into the floor pan of the car. Will be uncovering the cali tomorrow so ill double check the plaque thing. Mine did come with a little packet with the gold coloured letters for L E inside it .. infact, i gave some of them to a guy on facebook who had the L E letters missing..
Im sure the gold L E NO** were small stickers stuck on the plaque?? From what im seeing her, it seems im now confused!! Is the whole plaque covered in a sticker?? phase3le wrote: That rumor rich is said to be true tho its not proven .. Somewere under the carpet the number should be etched into the floor pan of the car. Can't understand where gold enters the equation and I can't understand why it is confusing. The NN number on a stick on label is the LE number and the NNNN etched into the plaque isn't. Simples. A correct plaque is as per Rich's post on the previous page 4. The sticker is oval and only covers the NNNN number.